Damon Neth is an active member in Entrepreneur's Organization, a mentor, coach and confidant to hundreds of business owners, and a professional service provider to small-and-medium sized companies. Damon Neth is a seasoned entrepreneur, senior executive and C-Level consultant with deep domain expertise in developing transformational business, technology and operations strategies. His passion is converting those strategies into plans and leading organizations to implement large-scale change. As an Interim Executive, Damon has worked enthusiastically to transform nearly 50 organizations ranging in size from pre-revenue startups to Fortune 500 through comprehensive strategies focused on operational excellence since the early 1990s. 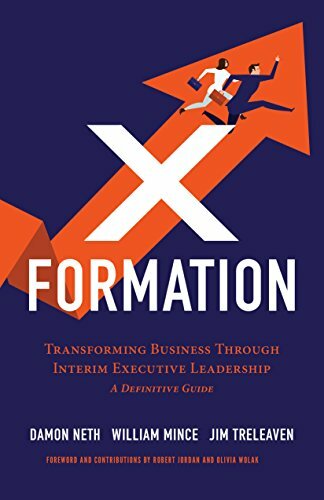 In 2014 Damon founded CXO Service Co., a premium provider of Interim Executive leadership to organizations looking for transformational C-Suite leadership and next-level results. As an Entrepreneur, Damon has founded six companies over a 20 year period spanning the industries of high-end professional services, eCommerce/retail/distribution/manufacturing and software/technology products. He successfully led several acquisitions and exits. As a coach, Damon mentors executives and leadership teams helping them gain sharp focus to obtain measurable results. Damon speaks to groups on topics related to interim executive leadership, attaining organizational excellence, developing successful strategies, and EOS, The Entrepreneurial Operating System.